Whitley Bay Golf Club is situated at the North East Corner of the ever popular seaside resort and town of Whitley Bay. The course is surrounded by views out over the east coast, Whitley Bay Lighthouse and Whitley Bay visitor centre. 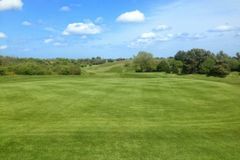 The course is widely regarded as one of the finest and often challenging courses of the North East Area due to its undulating fairways and tricky greens. Whitley Bay measures 6579 yards from the white tees but plays longer due to the winds that come in from the North Sea.